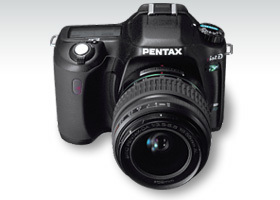 Thank you for using a PENTAX istDS digital camera. PENTAX wishes to announce the release of Firmware Update Software Version 2.02 for istDS. Only istDS users are permitted to download the firmware update. 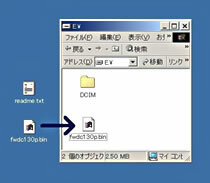 AE-L button on M has been added in the Custom menu. For prevent the confusion, the item that was not able to be set by the menu, made a gray character. Correspond to the SD memory card greater than 1GB, also Version 1.02 include the additional function which was released at Version 1.01. At the long time exposure situation such as astronomical photography, green noise might be generated partially on the image when the noise reduction is turned on. This phenomenon only occurs rarely under special shooting condition such as starry sky, and will never occur at the general situation that we are assuming. The version 1.01 will minimize this phenomenon as much as possible for the customer who use *istDS for this purpose. fwdc131b.bin: This is the updated firmware. After formatting the SD card, copy the fwdc131b.bin file to the route directory of the SD card.